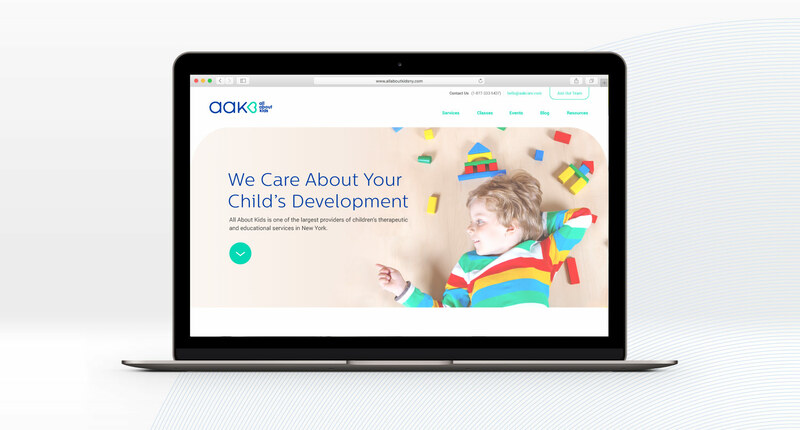 All About Kids (AAK) is a leading provider of children’s therapeutic and educational services in New York. They facilitate individual growth and independence, in the most natural and least restrictive environment. In addition to seeking care, AAK is a resource to learn more about child development. Our first challenge was rebranding. The company was founded in 1988, and had not made any changes since. We sought to stay true to their core values, while also modernizing the brand and making it more reflective of their current capabilities. Once the new visual identity was established, we set off to rethink their site, which had been growing over the years to the point of becoming confusing and very hard to manage. The new site is intuitive and thoroughly practical. 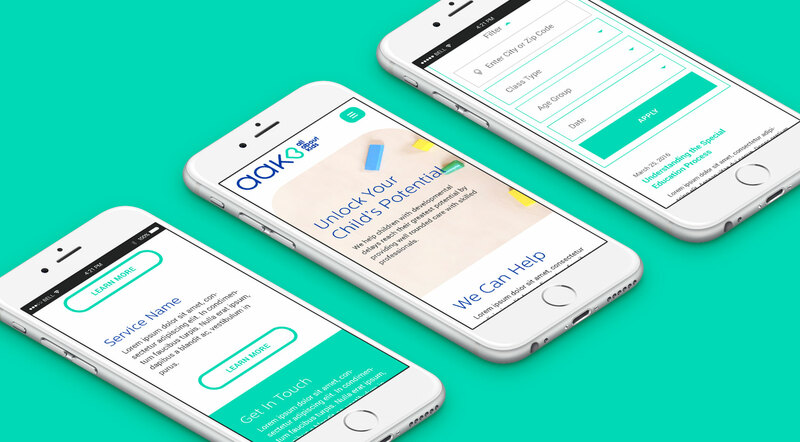 We have loved working with the AAK team as their design & dev team, creating collateral marketing pieces, redesigning their office signage, and in general transforming all aspects of the visual identity for this fantastic organization.